Insights - Page 2 of 135 - Peter Levitan & Co. Warning: I will be testy here. Despite the fact that advertising agencies love winning the big advertising award – they shoot themselves in the foot when writing the entry. Too often agencies are really bad at how they write up their award entry. Given the number of the “We want to win” bucks agencies spend on creative and ROI awards — to fail at the application stage is insanity. Side note, after writing mucho RFP responses for my agency; talking with dozens of clients – who are often baffled by poorly written RFP responses; and reviewing RFP proposals assembled by my agency clients, I have to tell you that the same affliction is running rampant when agencies respond to RFPs. Reponses are often poorly written; rushed out the door; do not follow instuctions and on. But, that’s another blog post. Fame. The fame equation is simple: advertising awards equal global and local industry awareness. Let’s go big. If you win a Cannes Lion or an ADDY more clients will hear about you. You can talk about your win on your agency website. But, even more people will hear about it in Ad Age, your local business journal and the award website itself. Awards deliver third-party confirmation of your prowess. Awards deliver new client interest. Awards are proof that you are great at what you do. This is especially true when you consider the amorphous concept of ‘creativity’ and how wonderful it is when someone else calls you ‘creative’. You get something new and shiny to talk about. If it is a big award, you can put it on your home page. And, even in your outbound marketing. Your clients will receive confirmation that they made the right decision when they hired you. Some might even congratulate you. Your agency staff feels really good. You’ll use the award to entice talent to join up. You will have a statue of some sort to put in your award-strewn agency reception area. All good, right? However, over the years I have seen many hungry agencies fail at the actual art of writing award entries. Yes, there is an art. When I worked at New York’s Dancer Fitzgerald Sample (the largest agency in New York) we prided ourselves on our ability to write great award entries. For a few years running, we won more EFFIES than any other agency because we understood how to meet the needs of EFFIES judges and had a smart, effective template. In fact, if you go to the EFFIES website, you can read award-winning case studies. But, right now I’d like you to stay with me. Writing a smart, well-written advertising award entry seems like a no-brainer. But, for too many agencies, it is a no-brain act. 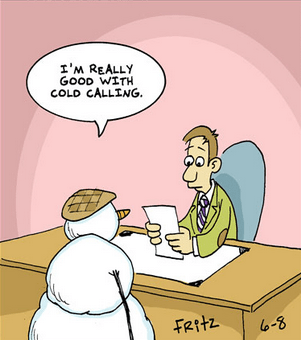 One of my advertising agency business development clients asked me today if cold calling was better than doing nothing. I responded that cold calling is so ineffectual that he might just want to do nothing. Of course, we had a more in-depth conversation about objectives, strategy and tactics — but his question points out that many agency people still employ cold calling. They must think it works. Don’t make cold calling an important element of your biz dev program. But, you know that. One more serious point about make-believe B2B marketing. All you have to do to get Sales Qualified leads is to do content or inbound marketing. As you traverse the world of business development thinkers, you will find people that tell you that inbound is the only way to go – even going so far as saying that if you are brilliant and narrowly focussed you will never have to pitch for business. Sorry, not true. Today, as has been the case for years, you need to exercise all of your business development muscles and tactics to win. Don’t make content marketing the only element of your biz dev program. But, you know that. Hey, I have no issue with inbound and social media marketing as I have built my global consultancy on inbound – I get it. My 650+ blog posts get Google, LinkedIn and Twitter action. This has worked for me because when I get a call from my very (very!) narrow target audience of advertising, PR, and digital agencies, they most likely found me because I am on page one of most ad agency business development related searches. Now really, do you think your agency will be on page one for a search of PPC or PR or general, even local, agencies? Probably not. That’s why you also need to be very smart about outbound marketing. Or, as it is now called Account Based Marketing. Which simply means… find a set of companies that you want to work with and go after them with a very smart, well researched, insight-driven marketing program. As pointed out earlier, a ‘nerve-racking’ element of outbound marketing is the cold call. I prefer to call it / make it warm calling. Just the mere mention of cold calling strikes fear in the hearts of the most accomplished advertising agency CEO’s and business development directors. Let’s face it, who really likes to pick up the phone to call a stranger and ask them for something… like their advertising or design account? Um, chances are rather good that it’s not you. Because of this painful fact, we now have an entire industry of social media experts telling you that all you have to do today to win at business development is inbound marketing. You know, if you blog, Tweet, leverage Linkedin and Facebook, the business will just come knocking at your door. Please note, I am not telling you that a refined agency positioning plus the strategic use of social media coupled with targeted insight-driven content marketing won’t deliver incoming leads. I am just saying that inbound alone is a bit too passive for most aggressive (in a good way to be aggressive) sales programs. So, how is the agency world doing? Are you guys happy? Worried? Running smart advertising agency business development programs? Have a big new business pipeline? Not? I recently asked one of my advertising agency owner friends what he thought was going on in the advertising agency world. Here are his answers and my comments. Note, I changed his name and the mega-agency network his agency is a member of to protect his brand. I called a couple of my XYZ Network colleagues (the ones I like) to gauge what’s going on with their business (pretending that I’ll be going to the annual meeting, which I won’t be). Then I was at the ANA’s AIMM (multicultural and inclusive marketing) think tank meeting at P&G and asked people what they’re doing about new business and agency business, in general, this year, how it was going and all of that. Everybody was BUSY in 2018! Lots of new business happening, more work than they could manage so their focus veered away from biz dev, most not using biz dev folks or other advisors as they have in the past because they’ve been included on RFPs and or winning organic business. This is from a couple of general market XYZ Network agencies and a mix of agencies at the AIMM meetings (only 100 people in total invited so good opportunities to have these conversations). There are concerns at the agencies that this won’t last; there is a lot of talk about a recession, or at least a slowdown, coming in the next few months. They are asking themselves, should they hire up or hold off or keep working in the business instead of on the business? So, it’s good, really good now for most of the agencies I talked to but there is also fear about what’s ahead. A thought for you – why don’t you do a blog about these last 2 years that have been pretty good for agencies and how to prepare now for what might come? Just a thought – I don’t want to pretend I know what’s best, but it was an emotional topic for all. And, it sure seems that many agencies have forgotten to run their sales program. Get back on your advertising agency business development surfboard and find the big wave. I have counseled agencies, agency clients and on this extensive blog, for six-plus years about a simple fact: your agency is going to get fired (by small project clients and your largest client) and if you haven’t been proactively working on filling your new business pipeline every day you are insane. Both at Saatchi and my days as an agency owner, I rode the big exciting waves of good new business wins and have felt the pain of that gnarly “your fired” call from the client. The ONLY solution, that is both a business and an emotional cure, is to have that 24/7 business development program running. Take a read of my recent blog post — Your Agency Will Get Fired It speaks to the inevitable and offers some help to reduce the pain by bringing new clients in the front door. This post is about the underpaid advertising agency. As in, your advertising agency is probably underpaid – or under managed. Or both. Believe me, they are connected. I recently had the opportunity to meet with Michael Farmer, author of Madison Avenue Manslaughter. 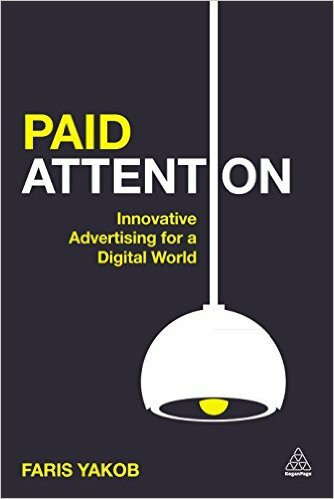 Michael’s is a disturbing must-read book on the business of advertising agencies. 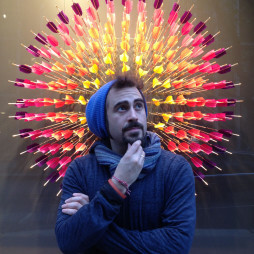 Michael covers the reasons for the advertising industry going from high profit to low profit. From being paid almost too well (as in the 15% commission on media) to underpaid for its value (as in cost-plus or fixed fees). Mega-point, agencies do not know how to manage SOW — scope of work. I urge you to read the book. So, Is Your Advertising Agency Underpaid & Undermanaged? You are undoubtedly underpaid. I am not going to belabor this unfortunate point. However, other than charging correctly for your work (a yikes if I ever heard one), I suggest that many agencies are simply undermanaged.